Tori Kelly has confirmed the release date for her new single. “Nobody Love” is scheduled to hit digital outlets on February 8th via Universal Music Group imprint Capitol Records. The track was co-written by Savan Kotecha and Rickard Goransson, who are also responsible for Fifth Harmony’s “Better Together” [Epic Records] and Jessie J’s “Bang Bang” w/ Ariana Grande and Nicki Minaj [Republic Records]. Production duties on “Nobody Love” were handled by Max Martin, whose recent credits include Ellie Goulding’s “Love Me Like You Do” [Republic Records] and Taylor Swift’s “Blank Page” [Big Machine Records]. Meanwhile, Kelly’s first studio collection will be executive-produced by Scooter Braun. The music mogul is also overseeing the careers of Ariana Grande, Justin Bieber, Carly Rae Jepsen, Amber Riley, Rixton, and Cody Simpson. Other musicians expected to appear on the keenly-awaited LP are Rodney Jerkins, Claude Kelly, Fraser T. Smith, Chuck Harmony, Oren Yoel, Toby Gad, Ed Sheeran, Chelcee Grimes, Pharrell, Taylor Parks, and the Stereotypes. Watch the music video for “Dear No One” below. Sia has shared a new song online. The Australian singer/songwriter posted the audio clip for “Salted Wound” to her official Vevo page on Wednesday (January 28, 2015). “Salted Wound” was written by Sia along with regular collaborator Samuel Dixon, whose resume also includes works for Paloma Faith (“Freedom”), Rox (“No Going Back”) and Christina Aguilera (“You Lost Me”). The track appears on the original motion picture soundtrack, “Fifty Shades of Grey,” out on February 10 via iTunes in partnership with Republic Records. Other artists who contributed to the “Fifty Shades of Grey” soundtrack are Beyonce [Columbia Records], Ellie Goulding [Polydor Records], Jessie Ware [Island Records] and The Weeknd [Republic Records]. Sia’s latest studio album “1000 Forms of Fear” – featuring hit singles “Chandelier” and “Elastic Heart” – is now available via RCA Records. On the songwriting front, the “Breathe Me” star has contributed to the next releases by Rihanna [SRP Records], Selena Gomez [Interscope Records], Labrinth [Syco Music] and Carly Rae Jepsen [Schoolboy Records]. Listen to “Salted Wound” below. Cashmere Cat is currently working on his upcoming first studio collection. “Cutting a song for my friend / honeymoon tour guest @CashmereCat’s album today” Ariana Grande tweeted on Wednesday (January 28, 2015). Cashmere Cat previously co-wrote and produced “Be My Baby” for Grande along with regular collaborator Benjamin “Benny Blanco” Levin. Other notable credits Cashmere Cat – born Magnus Høiberg – include Ryn Weaver’s “OctaHate” [Interscope Records], Tinashe’s “All Hands on Deck” [RCA Records] and Charli XCX’s “Break the Rules” [Atlantic Records]. In related news, Grande has christened “One Last Time” as the next promotional cut from her latest album “My Everything.” The track serves as the follow-up to “Love Me Harder,” which peaked to number seven on the US Singles Chart. Watch the music video for “Break Free” below. 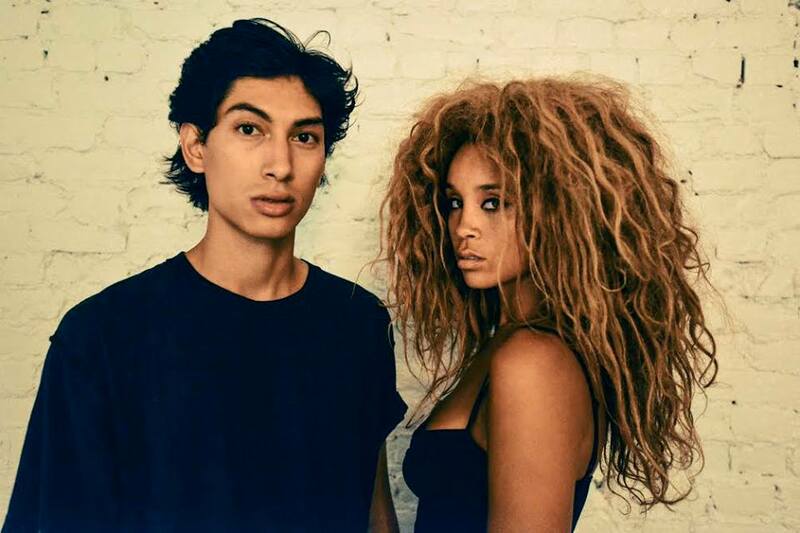 Lion Babe have premiered a new music video online. The experimental soul duo posted the Kate Moross-directed clip for “Treat Me Like Fire” to their official Vevo page on Tuesday (January 27, 2015). “Treat Me Like Fire” was written by group members Jillian Hervey and Lucas Goodman along with Eunice Collins. The track appears on the duo’s self-titled mini-album, now available for download via iTunes (US) in partnership with Interscope Records. As mentioned in earlier posts, Lion Babe’s full length debut album will hit shelves and digital outlets later this year via Amanda Ghost’s label Outsiders Recorded Music Limited and Universal Music Group imprint Polydor Records. The still-untitled project reportedly features alliances with Pharrell Williams (Alicia Keys, Justin Timberlake), Jeff Bhasker (Mark Ronson, Bruno Mars), Dave Sitek (Kelis, Mikky Ekko) and Andrew Wyatt (Charli XCX, Sky Ferreira). Watch the music video for “Treat Me Like Fire” below. Jasmine V collaborates with Benny Cassette for debut album? Jasmine V has collaborated with Benny Cassette on new material. “No tracks, just songs. @JasmineVillegas @MichahFoneCheck @WattSix” Cassette posted to his Instagram page on Tuesday (January 27, 2015). Some of his recent credits include Miguel’s “NWA” f/ Kurupt [RCA Records], Stacy Barthe’s “Live for Today” f/ Common [Homeschool / Motown Records] and Mary Lambert’s “Secrets” [Capitol Records]. The record producer and songwriter – real name Benedetto Rotondi – also contributed to forthcoming releases by Elle Varner [RCA Records], Sevyn Streeter [Atlantic Records] and Keri Hilson [Interscope Records]. Meanwhile, Jasmine V is expected to release her full-length debut album later this year via Universal Music Group imprint Interscope Records. Among the musicians backing Jasmine V on the highly-anticipated LP are Ester Dean (Trey Songz, Britney Spears), Soundz (Usher, K. Michelle), Ne-Yo (Ciara, Nicole Scherzinger) and Eric Bellinger (Chris Brown, Teyana Taylor). Watch the music video for Benny Cassette’s “Raging Bull” below. 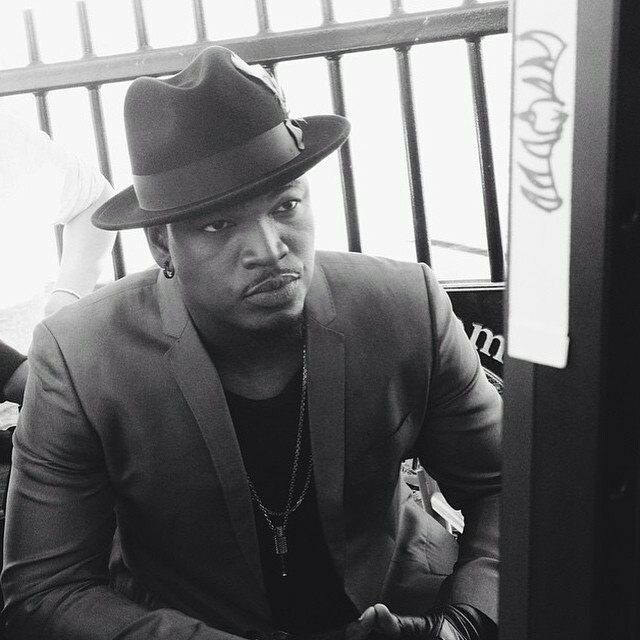 Ne-Yo has released his new album online. “Non-Fiction” – featuring hit singles “Money Can’t Buy,” “She Don’t Know” and “Coming with You” – is now available for download via iTunes in partnership with Compound Entertainment and Motown Records. The keenly-anticipated project serves as the follow-up to 2012’s “R.E.D.,” which peaked to number four on the US Billboard 200 Albums Chart. Among the musicians backing Ne-Yo on “Non-Fiction” are Shea Taylor, Jesse “Corparal” Wilson, Stephan Moccio, Darhyl “DJ” Camper, Stargate, Dr. Luke, Cirkut, Key Wane, David Guetta and Giorgio Tuinfort. On the songwriting front, the “So Sick” star confirmed placements on the next albums by Rihanna [Roc Nation], Keri Hilson [Interscope Records], Sevyn Streeter [Atlantic Records] and Gabi Wilson [RCA Records]. Watch the music video for “Coming with You” below. Tinashe has recorded new material with Jacob Kasher and Ammo. “Stu w @Tinashe, @JacobKasher, @AmmoPro ! Word of the session “auspiciousness” – actress, singer and songwriter Taylor Parks posted to her official Twitter account on Sunday (January 26, 2015). Recent songwriting credits by Kasher include Jessie J’s “Burnin’ Up” f/ 2 Chainz [Republic Records], Jason Derulo’s “Wiggle” [Warner Bros. Records] and Kylie Minogue’s “Into the Blue” [Parlophone Records]. Meanwhile, Ammo – real name Joshua Coleman – is responsible for co-writing and producing Beyonce’s “Pretty Hurts” [Columbia Records], Maroon 5’s “Sugar” [Interscope Records] and Leona Lewis’ “Lovebird” [Syco Music]. Tinashe’s second studio collection is expected to be released later this year via Sony Music Entertainment / RCA Records. Watch the music video for “Vulnerable” below.